This will be my final post on No Bun in the Oven but I am not gone, I've just moved over to Raising Little Bun. 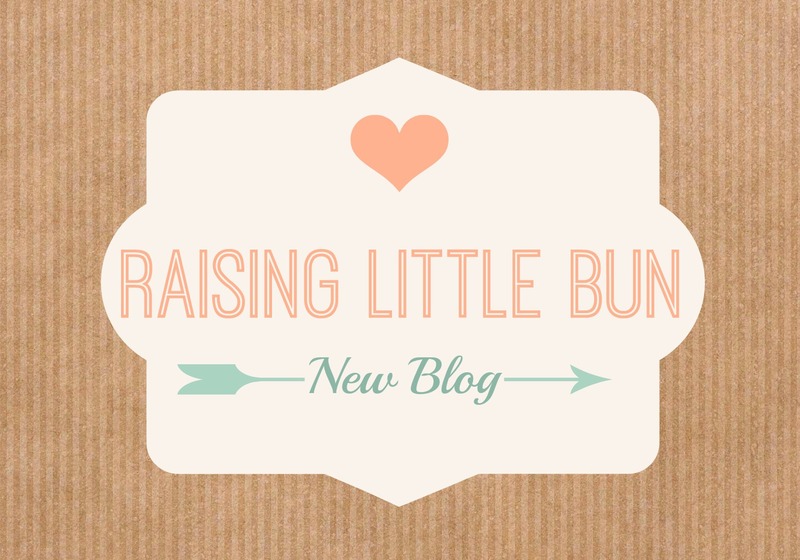 Raising Little Bun is my new blog where I'll be sharing all things Little Bun! There's a link to Raising Little Bun next to my Home Page Link. Make sure you follow for updates, baby favorites, and life lessons from Mamma Bun. Have you heard of Fertility Bridge? Let me tell y'all, Griffin Jones has been working for US, the TTC Community to "bridge" the gap between infertility clinics and patients. Have you ever felt like the information available to you for a clinic was less than stellar? Maybe it's a poorly designed website, maybe they just have a phone number, maybe you can't even FIND THEM online! This is where Griffin comes in, giving clinics the ability to shift their lack of exposure and lackluster web practices to becomes stronger and more available to the people who need it most, THE PATIENTS. So what does that mean for you? Where is the opportunity I mentioned? Read on sister, read on! 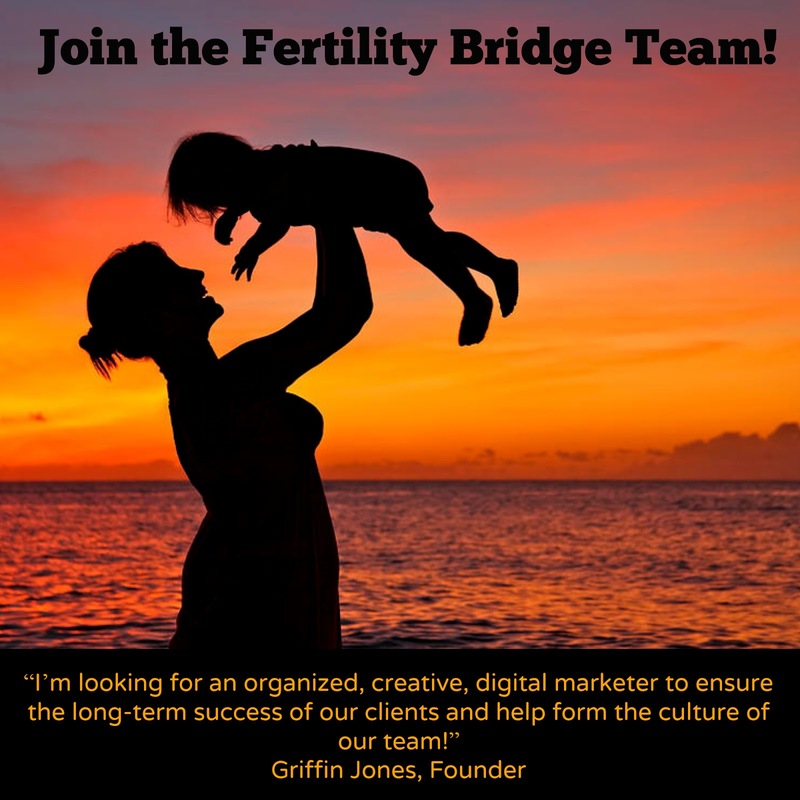 Griffin is seeking an employee to assist in the digital marketing department at Fertility Bridge. He needs someone to take some of the weight off his daily duties so he can continue to acquire clients and build this business. But he doesn't want just any marketing specialist, he wants someone in the community, IN OUR COMMUNITY. Someone who knows the ins and outs of infertility, someone to be the bridge between marketing and infertility. You will work directly with the founder (that’s me! 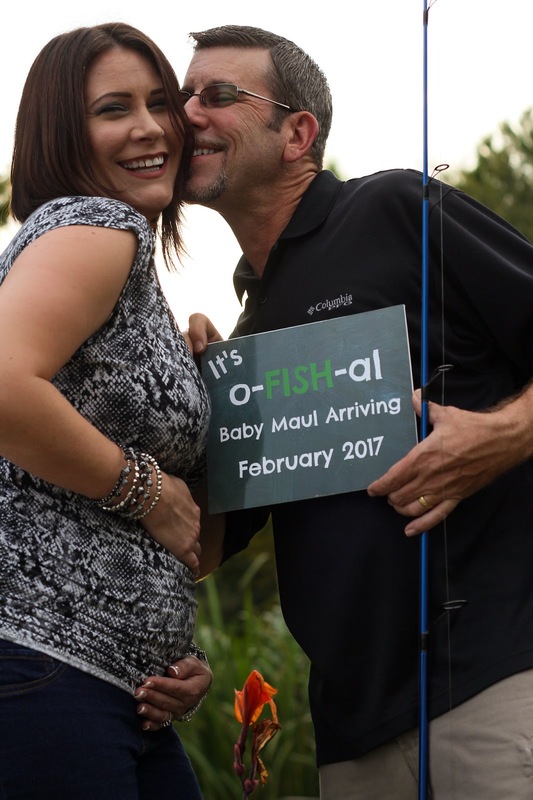 ), as we continue to build Fertility Bridge from a one-man operation into the team of marketers who are better than anyone on the planet at listening to people dealing with infertility. Your role is very multi-faceted, and will continually evolve. You’re a jill or jack of internet marketing trades. Social media advertising, search engine optimization (SEO), search engine marketing (SEM), copywriting, design, and dealing with independent contractors are some of the responsibilities that you’ll be taking on. The role requires more flexibility than a rubber stretch-arm strong doll, because Fertility Bridge is constantly growing! In fact, if you liken the progress of our company to the construction of a house, only the foundation has been built. The ground has been cleared, the Earth leveled, and the concrete poured, but the rest of the house has yet to go up! You are essentially an all-around handywoman or handyman that can help put the house together as we slowly and progressively add people in more specialized roles to our team. This could very well mean that your role becomes more specialized over time as well. To put it bluntly, your job is to free up my time so that I can continue to bring on more clients, so that Fertility Bridge can continue to grow. You are extremely organized, even-tempered, and respectful and have solid experience as an internet marketer. You are also flexible and eager to play a creative role in the growth of Fertility Bridge as a company. As a Digital Marketing Specialist at Fertility Bridge, you are responsible for executing a very large part of the marketing strategies for which our clients have hired us. You manage social media accounts for up to fifteen different clients, including posting unique content daily, responding to messages, comments, posts, and inquiries. You create content assignments and calendars for clients, for original and remarkable content sourced from within the clinic. You manage the editing and design of client-sourced content once it is sent back to you. Interacting with contracted designers, editors, and developers when necessary. You curate highly sharable content related to the infertility community from the web, sharing only that which will be of high value to our clients’ audiences. You place and manage advertising campaigns on Facebook, Instagram, Google, and other digital platforms. You provide reports monthly and when necessary, customized to clients’ questions and concerns. You perform keyword research for all fields relevant to fertility treatment and reproductive health. You design and administer landing pages. You write interesting, keyword-supported blogs, website, and social media copy. You interact with patients who post positive experiences, to connect them with the client to submit a HIPAA authorization. Once approved, you integrate patient-sourced content into the content marketing strategy. You lead the creation of websites, strategies, and campaigns with contracted partners when necessary. The devil is in the details you know it. You are expected to be able to provide counsel, digital marketing ideas, or solutions to any online challenges that may arise. We will teach you what you don’t know. It will be your job to continue to learn, improve and polish our processes. You may perform any of these tasks for Fertility Bridge, as the phrase “the shoemaker’s kids walk barefoot” is sometimes a fair jab. Did I mention you’re flexible? Because these tasks could change at any moment. So flexible! Can you communicate easily, credibly, and pleasantly with anyone under the sun? If you’re not sure about your answer to any of these questions, are you excited by the challenge of learning how to develop these new skills? If you answered "yes" to these questions, I want to meet you! Everybody Wins - We create positive outcomes for our clinics, their patients, the infertility community at-large, and ourselves! We maintain our Learning Culture by continuing to explore the needs of fertility clinics, people coping with infertility, and invest in training and education. We work with fertility clinics by reverse-engineering how people with infertility make the decision to see a fertility doctor. We believe that the highest standards in medical technology, delivered with an excellent care experience is the best way to attract more patients. We are obsessed with using content and technology to extend that experience to prospective patients. Patient-Focused Fertility Clinics: We believe that new patients come by super-serving existing ones. Fertility Bridge makes that culture of care visible to the outside world through social media and web content. High-Growth Practices: We believe that the fertility practices that add the most value to patients should see a greater share of patients than those that provide less value. Pretty simple. Could this be YOU? Are you in the market for a new start? Would you like to discuss this opportunity with Griffin? Perhaps you know someone who would be perfect for this position. Would you share this post with them using the share link below? Let's help Griffin and our TTC Community at the same time! Email griffin@fertilitybridge.com for more information! Hey y'all, it's me...who?? I know I've been slacking...it's hard to talk about my pregnancy on a blog about infertility. I feel out of place blogging here in a place where people come to learn about struggling and to be frank and honest as I usually am...pregnancy has not been that amazing experience I read about and I certainly don't want to appear to "complain" about something so many women are fighting to achieve. Enough about that, let's move on to why we are here today! On occasion I get to be a part of a Tuesday Night Fertility chat hosted by my friend Caroline at In Due Time. On Tuesday, a group of gals poses a Q&A to open up the conversation about Fertility and give other TTC Sisters a sounding board to talk about their feelings. Caroline heads this up each Tuesday night and I recommend getting involved by joining the chats on Tuesday. If you don't understand how it works or need help with it ORRRR if you want to get involved and be featured in one of the chats, let me know in the comments below! I'd love to point you in the right direction!! 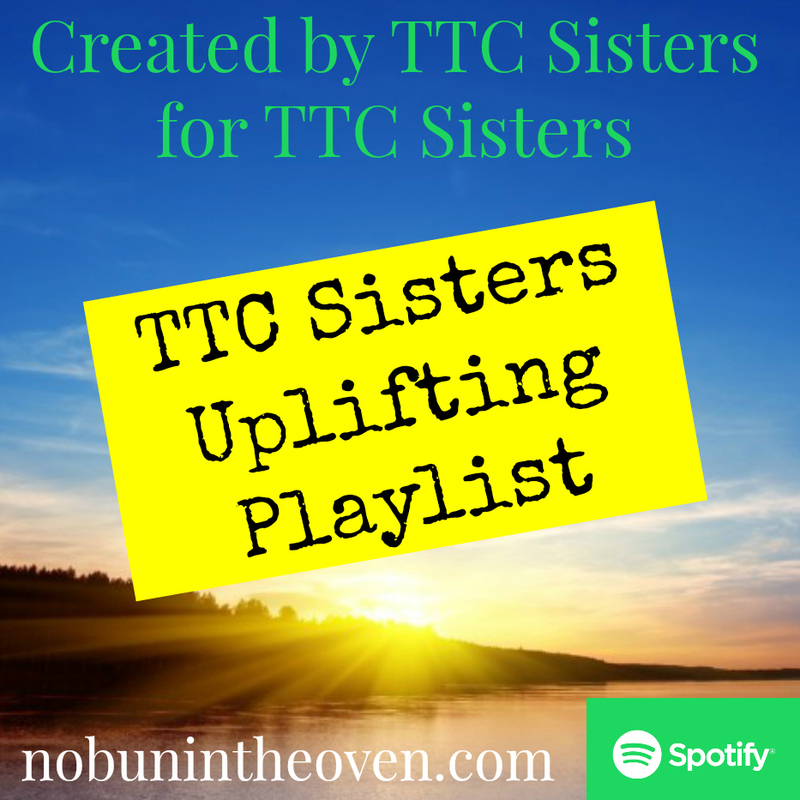 This week, I asked for an uplifting song to get you through the tough days and we got a pretty awesome playlist and I just wanted to share it here for you all today. I want to extend a special THANK YOU to each woman who contributed a song or even an artist to this list, TOGETHER we made this happen! These songs might be Country, Christian, Pop, Oldies, 90's, you name it, we have a bit of everything that helps one person or another sing or dance their way out of a bad day. I'm not saying these songs will cure your mood, I'm saying give them a chance to uplift your soul. Sometimes a song can lift your spirits so why not give it a try! These are in no particular order y'all! I know I'm not the only one who spent so long attempting to be someone else, well I'm over it!" Starting right now I'll be strong!" He’s in the waiting, He’s in the waiting"
And now I know the truth, That anything could happen..."
I reminisce about the days of old, With that old time rock 'n' roll"
Make my wish come true oh, All I want for Christmas is you"
And I know you feel like dying, But I promise we’ll take the world to its feet"
Lift up your eyes and see, The sun is rising"
"I have died every day waiting for you, Darling, don't be afraid. I have loved you for a thousand years, I'll love you for a thousand more"
You shoot me down but I won't fall, I am titanium"
With every broken bone, I swear I lived"
I will feel no fear, I know that You are near"
I'm head over boots for you"
The King of my heart!" Yeah, yeah, yeah! Yeah, yeah! Yeah! Yeah, yeah, yeah! Yeah, yeah! Yeah!" I want what You want Lord and nothing less"
For You are for us, You are not against us"
To the you that used to be, Tell your heart to beat again"
Coming in for a landing"
This is gonna be the best day of my life"
And he whispers to your heart, To let it go and to be alive"
and in our hearts, we still pray for sons and daughters"
"When did I forget that you've always been the king of the world? When you're the one who holds it all"
There are some amazing songs, some unforgettable lyrics and some uplifting tunes to keep you going on those hard days. Don't want to look them up individually, I'm one step ahead of y'all...I've created this Playlist on Spotify! Here you can delete songs you don't want or even add songs you do! We had some sisters who are fans of artists but didn't pick just one song, so I've highlighted those below. Check out these artists for some more of our uplifting choices! Y'all I have been SLACKING on the blog lately. I have about seven drafts but I'm treating them like yard work...that is, I start them and don't finish! 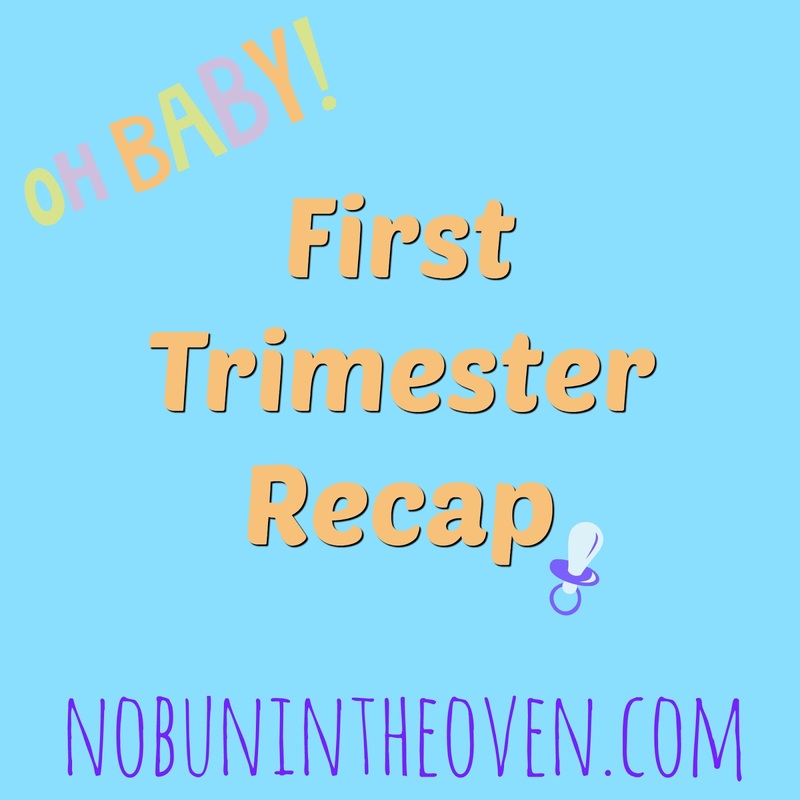 I though it would be a good time to recap the first trimester since I'm hitting pregnant week 20 this week. 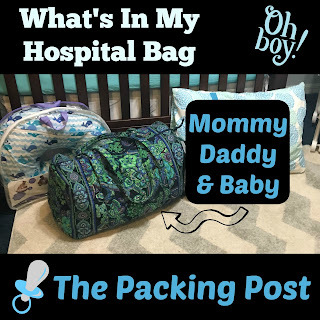 This time has literally FLOWN BY during my pregnancy though I am pretty sure I slept through most days and worried through most nights. You'd think getting pregnant was the hard part, but as I learned, being pregnant can be just as difficult. To recap, we did a frozen embryo transfer on May 25 which resulted in a BFP after YEARS of struggling with infertility. It took so long I really thought it might never happen but God has perfect timing and THIS, my friends, was in His timing. 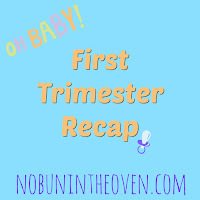 The first trimester was a doozy for me as I struggled with accepting the pregnancy wouldn't result in miscarriage. Even seeing the little love nugget on screen was not enough to ease my fears as I spent countless nights tossing and turning thinking about all the "what if's" that could go wrong. But was that enough worry for this girl? Nope! I also struggled with my weight and the weight gain during pregnancy. Having body issues throughout my life didn't stop when I got pregnant, in fact they seemed to increase tenfold. I had a hard time embracing the changes my body went through as the weeks progressed. But I have to say, I did accept this was a successful transfer. And while I am still working on the body issues, on most days I accept that my body is doing what it needs to prepare for this little baby. 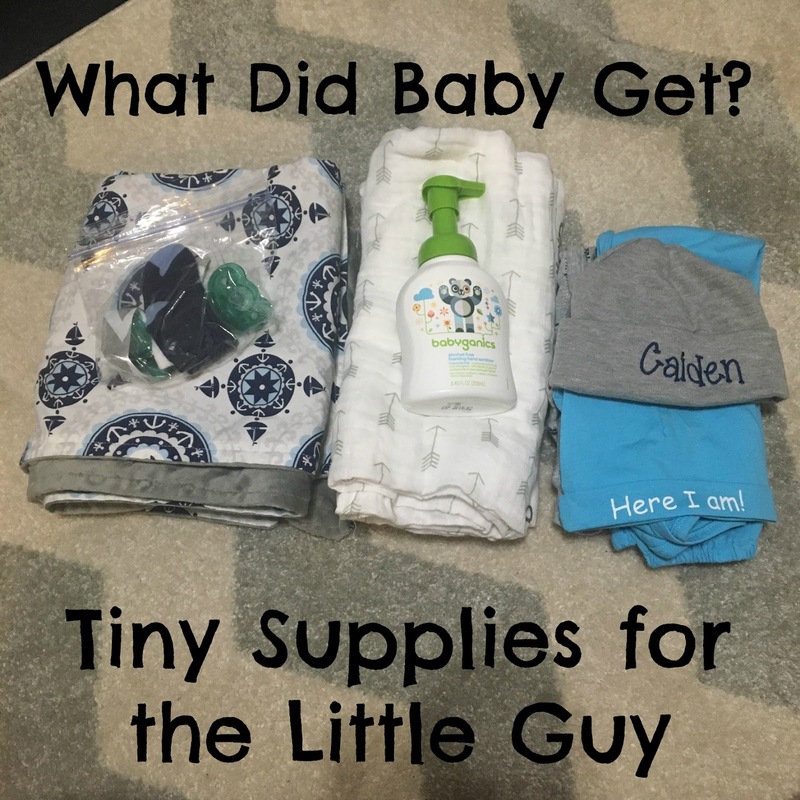 What are some of the first trimester highs? Napping freely. 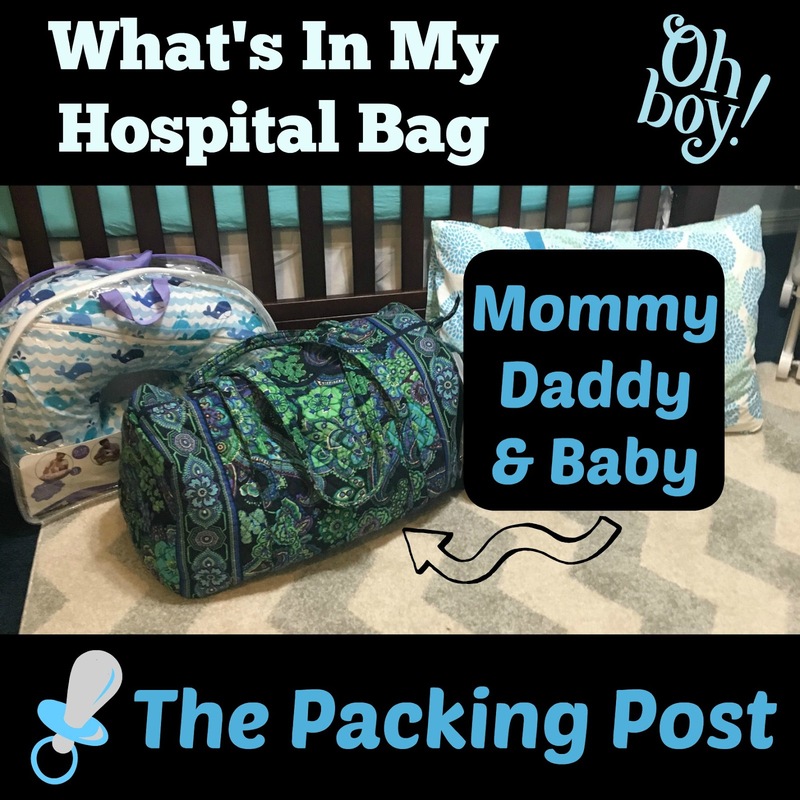 Y'all, making a baby in the first trimester takes a lot of energy and there was no shortage of exhaustion along the way. Some work days I felt like passing out under my desk. The weekend I got in two naps a day! This was definitely a first trimester high, being able to crawl into bed and take a nap to ease the exhaustion. 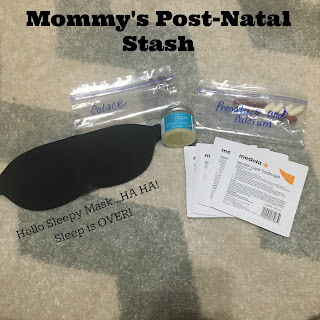 I know this won't be possible when baby comes so I tried to take advantage of the baby free nap time. Hubby love. This really continues beyond the first trimester but I definitely have to brag on Bob. Daddy Bun was very supportive during my nap days by helping with the laundry, cleaning, cooking and pretty much anything that needed to be done. I think I have the most supportive hubby EVER because he was there every step to make sure everything was done. Not a single complaint. Maternity jeans. Y'all, maternity jeans should NOT be for maternity only. I think they should be everyday jeans for everyday woman. 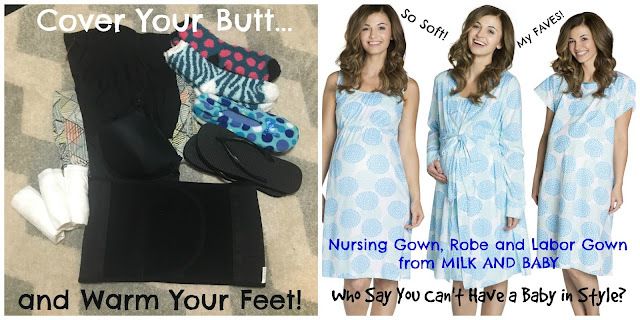 I have always proclaimed that pants were overrated but there is something that is OK about sliding into a pair of maternity pants, no buttons, no zippers, no muffin top...what is not to love about that!? I've purchased from A Pea in the Pod, Target and Motherhood Maternity and my favorites are by far the Jessica Simpson jeans from Motherhood Maternity. I have bootcut and skinny jeans and they're just very comfortable, they wear well, they don't stretch out and get baggy in the bum. I am a SUPER FAN of these jeans. I know that there are many people who will tell you to wait as long as you can to buy them but I disagree...BUY THEM...LOVE THEM...THANK ME LATER! How about the first trimester lows? Indigestion. I have never dealt much with heartburn and indigestion but boy did that glory end when I got pregnant. It was awful. And for someone like me who eats authentic Mexican cuisine at least once a week this was a serious blow to my lunch plans. If food went into my mouth, it gave me indigestion. I didn't even want to eat because it would be so uncomfortable. Y'all...I could drink WATER and get indigestion. It wasn't until my doctor said try some Zantac that I found relief and I mean the kind of relief that clouds parted in the sky, angels sang Hallelujah and I was able to eat tacos. If you're dealing with heartburn or indigestion, try Zantac. It really gave me the freedom to eat my yums in peace! Worry. As I mentioned above, one of the worst parts of the first trimester is worry. And the worry even crept into my dreams at night. Worry about miscarriage was not the only fear that haunted my thoughts and dreams. What if I'm a bad mother? What if I forget to feed the baby? What if I leave the baby in the car? What if the baby is born as Chewbacca (the indigestion made me worry)...what if....what if...WHAT IF!?!?!? I could have what if'd all day long. Thankfully I had a reassuring hubby and not only that, one with experience being a parent. It is such a relief to know I am going through this with someone who has been there already, even if it was with someone else. He eased most of my fears and worries and sometimes, just saying them out loud helped to ease them. Gas. Y'all....I can't even. I mean seriously. 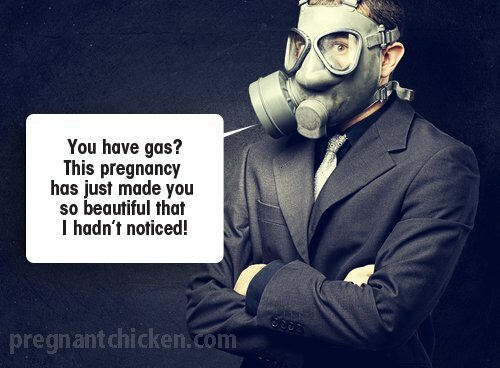 I don't know if you've ever seen the "Breaking the Barrier" video on YouTube but being gassy is not something I shared with my husband, EVER. I realize it's a part of our body's function but I'm just overly embarrassed about that. Well when you get pregnant, you can THROW THAT OUT THE WINDOW...and keep it open after because you'll need to air out the room. Why does this happen? And why is is so awful you want to issue out military grade gas masks to anyone who comes through the front door? This is progesterone at work y'all...it slows down your intestinal tract and that my friends, makes ya gassy. I tried blaming the dogs but even they run away in fear. Fiber is your friend. I use fiber gummies and not only do they taste good, they keep my husband from running from the bedroom with tears streaming down his face. As we traipse through the second trimester, with a round belly that I've started to use as weapon when my hubby makes comments about the baby's gas (I mean it IS the baby right???) 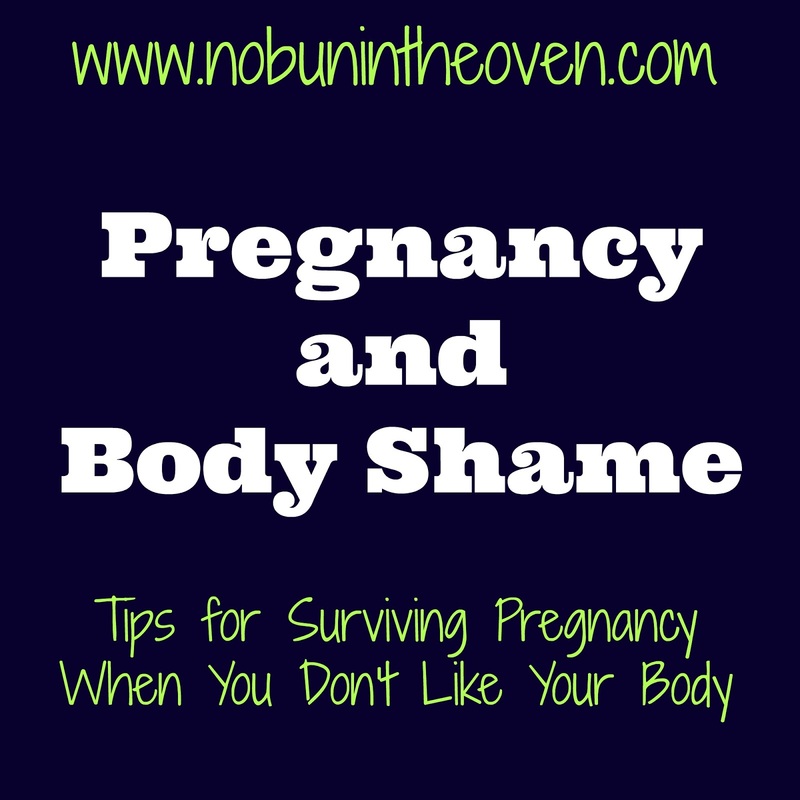 I will be back to share more on the good, the bad, and the ugly of pregnancy. Y'all I'm about to break it down for you about being pregnant and having body issues AFTER struggling with infertility. I have body issues, I've felt shame about my body since I was a teenager. I didn't realize that would carry into my pregnancy. I had no idea I would struggle to accept the body that carries the life I fought to carry in my womb. I didn't realize I would look at myself in the mirror and feel disgust. And I don't know how to deal with those feelings. I feel shame about my body. I feel like I will be ostracized for feeling this way because so many women struggle to even conceive. But I think I've gained some knowledge and would like to share with you what helped me. There could be someone else out there struggling and I'd like to share some help if needed! Gaining weight is not easy for me and the fact that there is life growing inside me did not make that fact easier to accept. I've gained over ten pounds and that is on top of the twenty pounds I gained going through infertility treatments. And for me that is a hard reality. Let's take a stroll down memory lane...I don't think there was a day in my teens that I didn't want to be thinner. I would starve myself most days just to stay a size 7 while all my girlfriends were moaning about being "fat" in a size 3. This made me feel huge, I don't think I even fit a size 3 and if they were fat, what was I? HUGE?? We would pinch our skin around our tummies and grumble about the "fat" and skip meals to ensure we didn't gain pounds. When I married my hubby I weighed 125 pounds, I slid into an unaltered size 8 wedding gown questioning why I couldn't fit the size 6. I should have felt amazing but I was trying to figure out how to look thinner for pictures. For years during our marriage I struggled to accept I was a size 8. I fluctuated between 130 and 140 pounds and hated those days I was 140. Sometimes I was so obsessed I would lay in bed for days, making myself sick over it. I would get headaches from skipping meals just to stay under 140...some magical number in my head that meant I wasn't fat. I would pour over photos and compare one day to another, seeing how much I'd gained or lost by the fit of my pants. If I didn't fit my pants, I didn't eat, skipping breakfast and lunch and only eating dinner until they fit again. Then we started infertility treatments and as the weight came on, my self esteem was left beside the scale. My pants stopped fitting. I stopped wearing fitted tees and shorts. I went to leggings and oversized tees. Over the course of three IUI's, hormone simulations, an egg retrieval and a frozen transfer, I gained 20 pounds. And every pound felt like a brick. When I got my BFP I weighed 160, and I hated my body. In my mind I should have been 20 pounds lighter, but in my mind, I should ALWAYS be lighter. And as I've progressed through these 14 weeks, I've put on an additional 10 pounds. So I started at 140 and now weigh 170 and I have 25 weeks to go. And I hate my body. I don't hate the life growing inside it but I am able to distinguish the difference. Some people cannot. And that is why I'm writing this post today. I shouldn't feel ashamed about how I feel and I shouldn't be made to feel shame because I have body issues. Some people think, why are you worried, I'm still trying to have a baby and you're freaking out over a little weight? Why do you care what you put on when there's a life growing inside you? 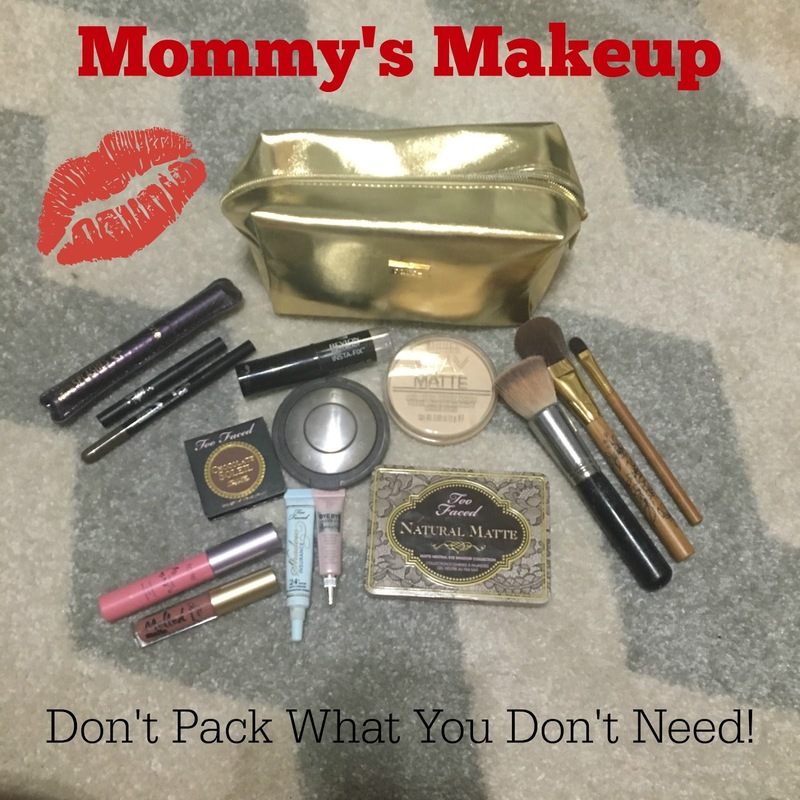 Are you so vain that you worry about what you look like instead of the baby in your womb? I guess that answer is yes. I am freaking out over a "little" weight. I do care what I put on because I have always cared and that doesn't magically shut off when you get pregnant. If you've never struggled with body issues or shame about your weight, you might not understand. But for me, this is a lifelong issue. When I searched this issue, I got lots of "hints" and "tips" to deal with my issue...do you know what they were? Accept it. Embrace it. Love the body that is growing a life. Know that this is temporary. Those are the tips? Embrace it? Accept it? That isn't a tip! That's a statement. 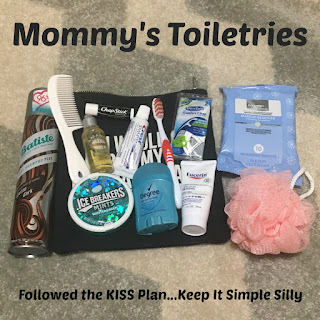 So I wanted to give your some real tips if you are like me, if you look at yourself disgusted, even though you're growing a wonderful miracle in your womb. Beyond "embrace it" or "accept it is temporary". 1) Reduce weigh in's to once a week at home. I weigh myself every day and put emphasis on a number. But guess what! Your weight can fluctuate on the daily. Sometimes I will weigh myself at night to see what I "packed on" during the day..then I'll hate myself as I trudge to the bed to fall asleep. To help avoid this walk of shame, TAKE AWAY THE SCALE aside from a weekly weigh in. This takes off (no pun intended) a giant weight from me. 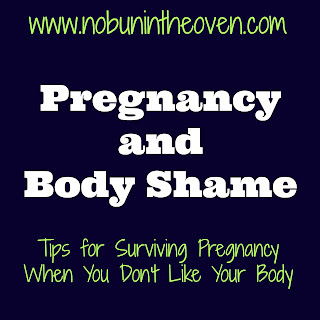 2) Don't compare your pregnancy body to ANYONE else. That means your best friend, your mother, your sister or anyone you scroll past on your Instagram feed. Comparison is a JOY THIEF and when I see my tiny friends and their matching tiny bumps, I immediately feel shame about my own body. So I say a kind word and I move on immediately. Don't dwell on the pics, don't focus on how much they've gained or even lost. Just say a kind word and go on. 3) Put up affirmations on your mirrors. Yes y'all...affirmations! And read them. Repeatedly. They really help. Some of my favorite affirmations are those very statements I mentioned above that others use as tips. "I will embrace my pregnant body"
"I trust my body knows exactly what it's doing"
4) Make sure you are eating healthy for baby. For the first trimester, I ate a lot of carbs because it was something that didn't make me feel sick. 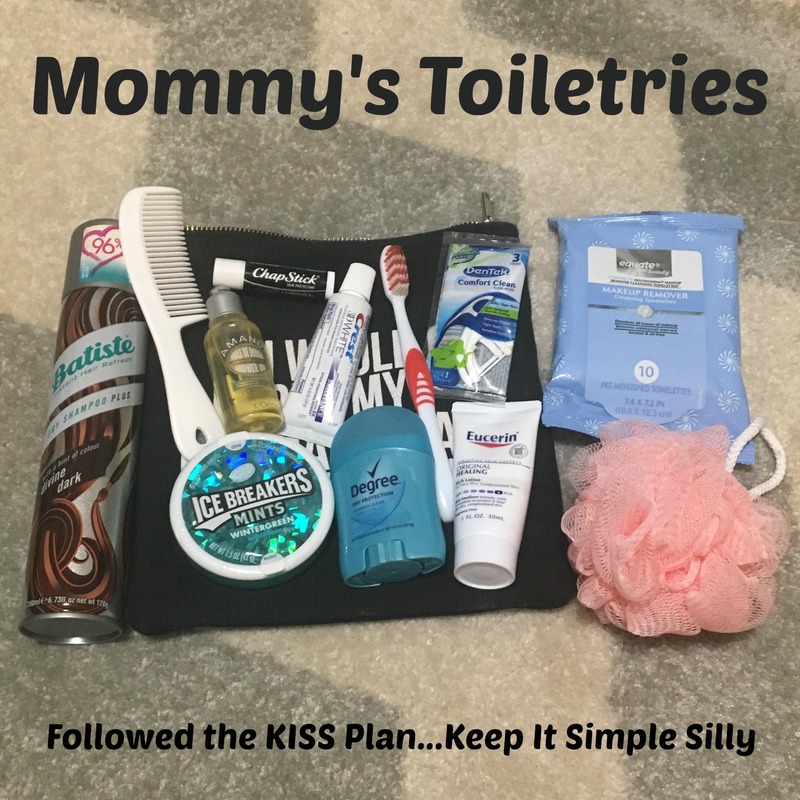 I didn't suffer a lot of morning sickness, but when I felt nauseous, it seemed that saltine crackers, french fries and pasta were the only thing to really get rid of that ickiness in my tummy. These aren't the best options for baby or mamma, but when you're battling the all day sickness that comes with pregnancy, you eat what you can. When that nausea starts to subside, take advantage and throw in some healthy snacks. I eat my carbs in the morning and keep the carbs light in the afternoon and evening. I also snack on fruit in the morning and veggies in the afternoon. I double my green veggies at dinner. 5) Finally, there is some wisdom in accepting that your body is doing what it needs to do to support a healthy baby. That might or might not be in line with the way you want your body to look. 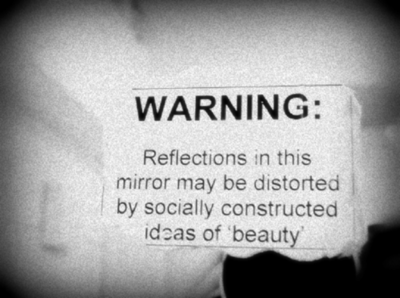 But trust your body. Trust that it knows what to do for your baby. Remember this is temporary and the life growing inside you will soon be a bundle of joy in your arms. Focus on the impending bundle of joy and not the temporary changes going through your body. I hope this helps someone else as much as it's helped me during this adjustment period...do you have some advice for women who struggle with body shame? Leave a note in the comments below.